I knew I wanted to stay at home, but I also wanted to study a joint honours course in Sports Studies and English Language. After searching on UCAS, I soon realised that this course wasn’t going to be as widely offered as I initially thought. The University of Worcester was one of the few institutions in the country to offer not only my course but many others courses too. But for me, it was important not just to be studying the right course, but also to be studying in a place that suited me, too. Even though I only lived about an hour away, I knew very little about Worcester. The first thing that struck me about it when I came to look around on open days was how green it was. I had looked around other, more urban universities and felt really put off by how intimidating and unfriendly they felt when I was looking round. I found that Worcester had a really warm and friendly atmosphere and just made me feel immediately at home. 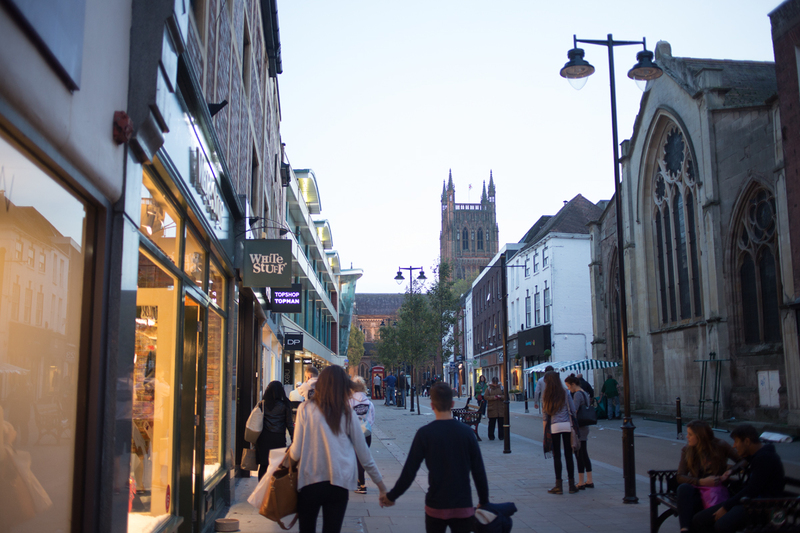 The city centre itself was also one of the big reasons that I chose Worcester – because it had such a good mix of history with all the modern elements a city needs. I’d really advise anybody to actually go into Worcester and see it in person because I can’t really describe it without sounding like a travel agent, so book onto an open day and come and have a look yourself! As a huge sports fan, it was also important for me to study in a city that was full of sport. With the Worcester Warriors, Worcester Wolves, Worcester City FC and loads of other sports teams around the city, all of which offer placements and opportunities for students and, this was a massive factor in me choosing Worcester. I hope you’re choosing the right location and the right university for yourselves and if you have any questions, please leave a comment.